Who doesn’t love gems, right? It’s not just about their worth; there’s something enchanting in the way they look and shine. Apparently, this is not just our opinion, as there are many slots featuring these shiny objects and they are pretty popular among players. 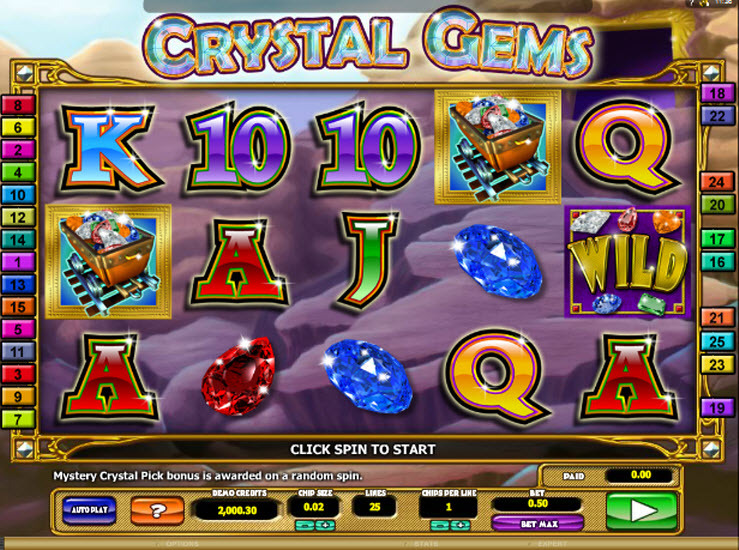 One of those is Crystal Gems slots by Microgaming, featuring plenty of shiny jewels hidden deep under the surface of the earth and your task is to excavate them and bring them to light. 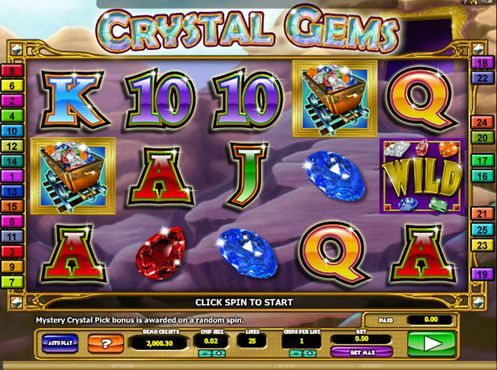 Crystal Gems slots has five reels and twenty five fixed paylines and it is set against a backdrop of a mountain with heavy-looking rocks piled on top of one another – exactly the sort of place one might find piles of gems lying about. The entrance to the mine is visible in the distance. Five different coloured gems are the main symbols – orange, blue, red, green and white; 10, J, Q, K and A represent the lower values. 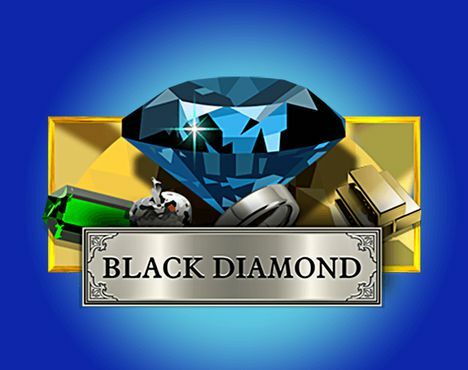 The wild symbol is the ‘Wild’ word itself, surrounded by gems and there’s also a scatter represented by a mine cart full of gems; this is what you need to activate the main feature. The wild is stacked on the reels which means they appear on top of one another, hopefully creating winning combinations. Use the (+) and (-) buttons at the bottom of the game screen to adjust the chip size and the amount of your bet. You can always keep an eye on the total amount of your bet thanks to the Bet display on the right-hand side. Another thing that you can adjust is the number of chips per line. For more details, visit the ‘?’ button on the left-hand side. Once you’re all set, click the green ‘Play’ button, or use the Bet Max switch to go all-in if you feel lucky! Crystal Gems slots also offers an Autoplay mode. 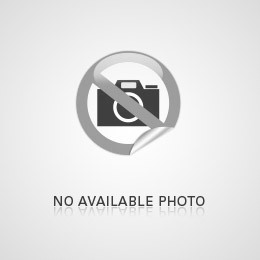 Use it to set a specific number of spins to bet on in a row, without interruption. The brightly coloured playing cards are the lower value symbols, as 9, 10, J and Q pay 100 times your bet if you land five on a payline. The A, on the other hand, will award you a 150x for a combination of five. As for the high value symbols, we’ll start with the orange, blue and red gemstones which award 15, 40 or 200 times your line bet if you land three, four or five on a payline. The green gem pays 300 for five-of-a-kind, whereas the white one is worth 400 times your bet. The top paying symbol is the wild – offering payouts of up to 2,000 times your line bet. Triggered at random, this feature does just what you’d expect. The screen will change to a view of three big gems and all you have to do is pick one of those crystal to reveal your prize. It will be proportional to your stake and then you will be returned to the main game. During the free spins the wild symbol becomes more valuable and every time it helps form a winning combination, it will multiply that win by 2x, 3x or 4x. The spins can be re-triggered from within the feature by landing three or more minecarts once more. When it comes to the oldest and best suppliers of online casino software, Microgaming is definitely among them. 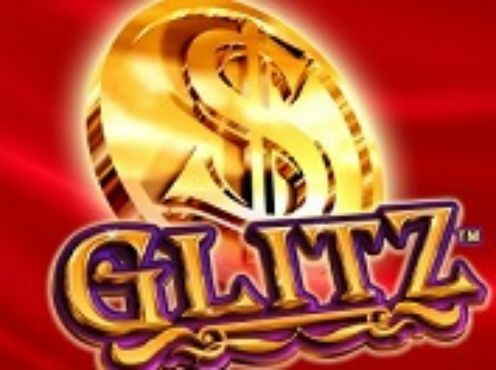 Their slots feature excellent designs, rewarding bonus games, including free spins and many jackpot winning opportunities. 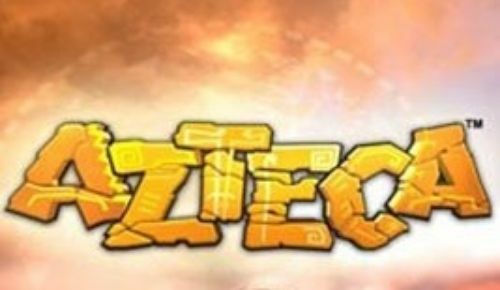 Regardless of which online casino you decide to visit, there is no doubt that find plenty of high-quality Microgaming games. The selection of games offered by Microgaming is huge and consists of such games as blackjack, baccarat, sic bo and many others. 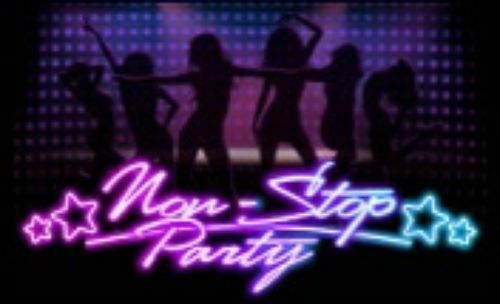 You can also find such gaming options as table games, video poker games, and some specialty games like arcade games and scratchcards. Crystal Gems slots is really a pretty basic looking game, but that doesn’t mean it’s not enjoyable. It is a well-designed slot and although it’s not overflowing with features, the free spins round is a good one thanks to the multiplier wilds. Besides, the shiny jewels are enough to keep you interested. Have a thing for gems? 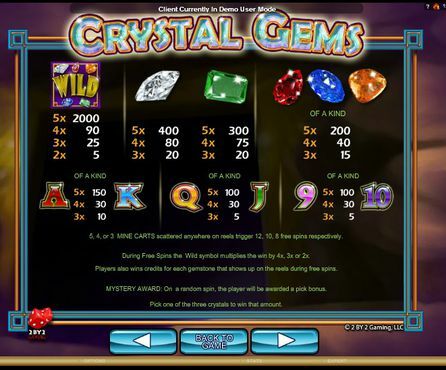 Try Crystal Gems slots out, see how many can you collect!